Are you think that the day and night throughout the history of life is always the same? If yes, you are wrong. A day and night are determined based on the time required by the Earth in doing one rotation on its axis turns varies. Scientists know that variations through decades of research with the technique of 'Very-Long Baseline Interferometry (VLBI)'. In essence, scientists measured a day and night at various locations all the time, then compare them. The research results of the VLBI, combined with the fossil-based research, revealing that the Earth's rotation slowed. Because slowing rotation of the Earth is the tidal force of the Moon. The Moon itself increasingly moving away from the Earth. The study by University of Durham physicists, FR Stephenson and colleagues, LV Morrison, revealed that within 100 years, the speed of rotation of the Earth slows down about 1.7 milliseconds. The time duration is very short. As the comparison, for wink alone takes more than that. However, when accumulated in the long term, the difference can be substantial. Big difference it would make inaccurate forecasts and measurements. For example, when we want to estimate the peak of the eclipse phenomenon at the time of Babylon in 136 BC. With a rotation variation, resulting from calculation errors can reach 48.8 degrees due to the time difference totaled 11.700 seconds. 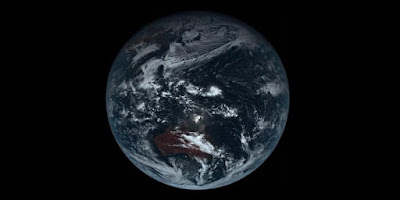 Evidence that the day and night can be great variations revealed by Daniel MacMillan of the Goddard Space Flight Center, National Aeronautics and Space Administration (NASA). "At the time of the dinosaurs, Earth completed one rotation for 23 hours, and in 1820, Earth's rotation was 24 hours, 86,400 seconds. Since 1820, the mean solar day increased by about 2.5 milliseconds," he said, as explained on the website of NASA in 2012 ago. RA Nelson and colleagues stated in a paper "Leap Second, Its History and Possible Future" in volume 38, 2001 of the Metrologia journal reveal more surprising facts. According to them, because the tidal force and other causes, in 2,000 years, the Earth has lost of time about 3 hours. In order to maintain standards at the same time remain in line with what is happening with the Earth, Moon, and Sun, scientists then initiated the leap second in 1972. The concept, the addition or subtraction can even one second at certain times so that time remains in sync with the Earth's rotation. Leap second itself emerged thanks to advances in the measurement of time, especially the second, more precise with cesium atoms. The year of 2015 is one year that would have a leap second. One second will be added on June 30, 2015. There are a number of people who want to abolish the leap second because it is technologically inconvenient. For example, create a computer system error. However, other groups, said that the leap second will still need to keep precision time.